ALT International Co., Ltd aims to bring equal access to international education to all Vietnamese talents with great ambition and/or social-economically disadvantages. In order to comprehensively address the need of our students, ALT Consultation provides two main international education schemes: Scholarship and Smart Education. ALT International Co., Ltd aims to build a long-term sustainable community with participation of ALT Academic Counseling Board, ALT affiliated network of scholars and mentors, and ALT Consultants. ALT International Co., Ltd promotes sense of community by giving numerous chances of personally and socially growth to its consultants: Expansion opportunities, Potential students, Training and personal development, Workshops and seminars. St, ward 2, Binh-Thanh District, HCMC for register procedure and consultation information. admission criteria, the potential candidate shall submit necessary documents to ALT. ALT shall evaluate your documents within 3 business days. relevant programs to his aspiration and academic background. receive all the candidate benefits. score, etc. in order to sharpen the candidate’s application package. ALT, on behalf of the candidates, will submit all the applications to the selected programs. 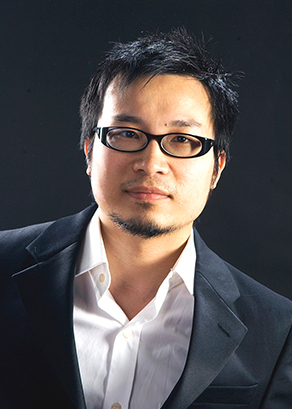 While working at many world top universities, Dr. David Viet Lam Nguyen and his colleagues have produced many significant research articles for the academia, especially in the fields of brand strategy, consumer behavior, contemporary issues of scale development, and experimental models. His research papers have been widely published in various scientific conferences and journals in Korea, the U.S., Australia, and New Zealand. 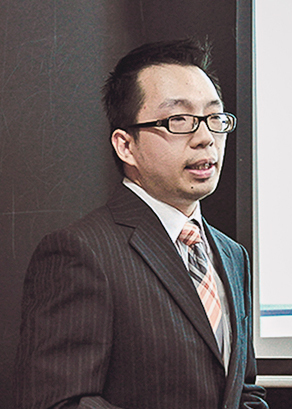 In the course of attending and presenting at many research conferences around the world such as Spain, the U.S., Korea, Taiwan and New Zealand, Dr. David Viet Lam Nguyen has noticed that Asian students have excellent, dynamic, and ambitious qualifications, especially students from Vietnam. And he has also noticed that there are several barriers of finance, culture, and application knowledge to Vietnamese students in the process of international integration. With a desire to contribute to the development and renovation of the homeland, Dr. Viet Lam Nguyen and a few local and international scholars decided to found ALT Scholarship Consultation Centre, which aims to connect Vietnamese future leaders with international knowledge and experiences. With specialized knowledge of the field, Dr. David Viet Lam Nguyen, who himself was granted a scholarship to study abroad, is primarily responsible for organizing ALT Academic Board to assist ALT candidates’ applications for the highest admission rates. For more than 30 years of working in the field of education, Mrs. Viet An and her family, have made many charity trips from the North to the South of Vietnam. Drawing from the experiences of these trips, Mrs. Viet An, with the enthusiasm of an excellent teacher, has found that solely emotional care or material support would not completely resolve the current poverty and retardation in development of the country. Seeing knowledge as the only answer for the above concerns, Mrs. Viet An has joined ALT to help ambitious, young Vietnamese generations approach a solid foundation of knowledge from developed countries. 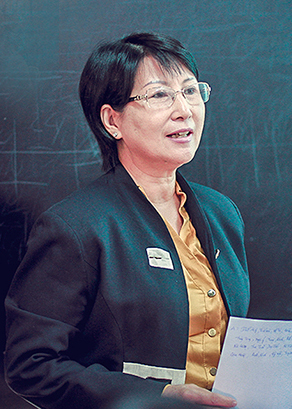 With over ten years of researching and consulting abroad study at both undergraduate and post graduate levels, Mrs. Viet An has become one of the main members of ALT Academic Board in Viet Nam, achieving exceptional admission rates for many scholarship applications. Upon receiving the Bachelor Degree in Mathematics and Economics Modeling from Mälardalens University, and the Master Degree in Economics from Stockholms University. 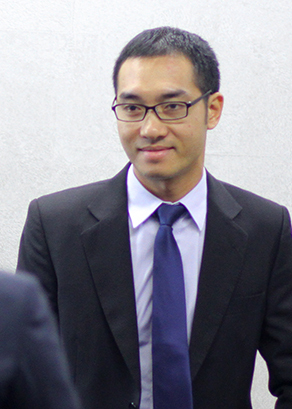 Mr. Viet Thang Nguyen has joined the PhD Program in Economics, a joint program between Stockholms University and Stockholms School of Economics – one of the World leading universities in economics, finance and business law. Apart from his advanced knowledge in research and economics, Mr. Thang Viet Nguyen also has extensive knowledge and experience regarding top universities’ admission requirements, acceptance rates, and selection procedure. In addition to consulting ALT candidates’ applications, and mentoring them during their study, he regularly participates in advisory for the workshops, seminars as well as essential strategic plans to assure to assure the highest acceptance rates for each candidate’s application. Bachelor of International Business Administration – K.36, Ha Noi Foreign Trade University, 2002. Graduating with honors from Ha Noi Foreign Trade University, together with international work experience at many multinational corporations such as Metro Cash & Carry and Colgate Palmolive, Mr. Viet Thang Tran won the Asian Leadership Scholarship for MBA at IE Business School, University Instituto de Empresa, Spain, which is one of the most prestigious Business Schools in Europe. Upon his graduation, Mr. Thang Viet Tran has held many senior management positions at large corporations such as PepsiCo, Philips Electronics and THP. Given his extensive international experience on strategic management and multi-linguistic communication, Mr. Thang Viet Tran has joined ALT as one of the main mentors on applicants’ selected major and career development plan.